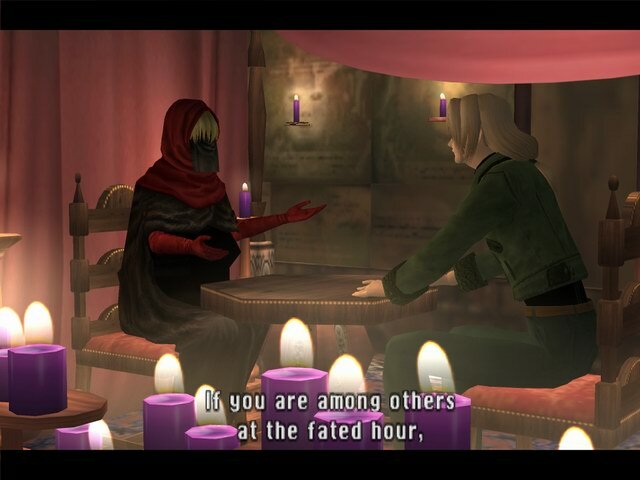 Shadow of Destiny (also known as Shadow of Memories) is a Playstation 2, Xbox, PC, and PSP adventure game with horror themes, which at it’s core is a murder mystery title. However, it’s not you trying to solve a murder as opposed to you travelling through time to prevent your own murder from happening. 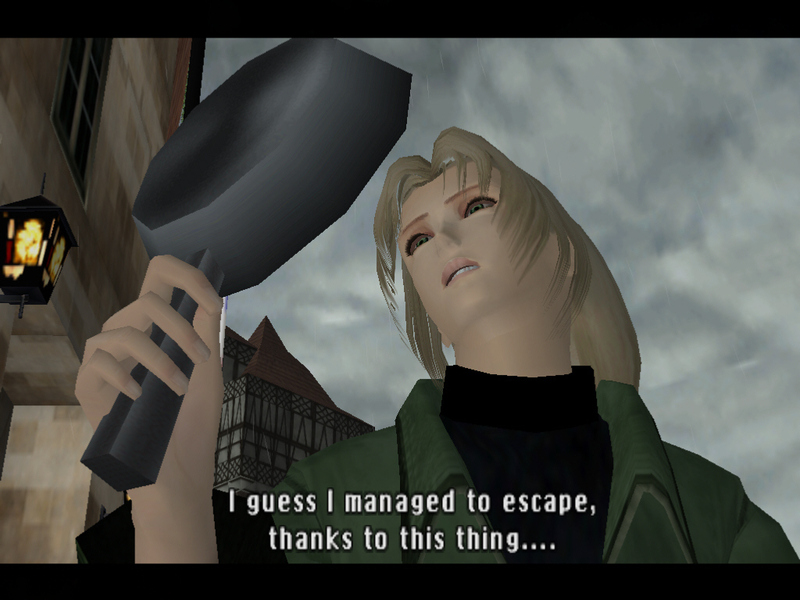 You play as Eike Kusch in the German town of Lebensbaum, and through a series of chapters and Adventure game mechanics (picking up items, solving puzzles, etc.) you must travel through different time eras to stop your own death, collecting time travelling energy units to make these jumps through time. You do not have health, but have to abide by two clocks, one which passes in present time and one that presents the time of the period you currently are in. Spending time in other time periods also passes time in the present, and what you do in the past affects the future. 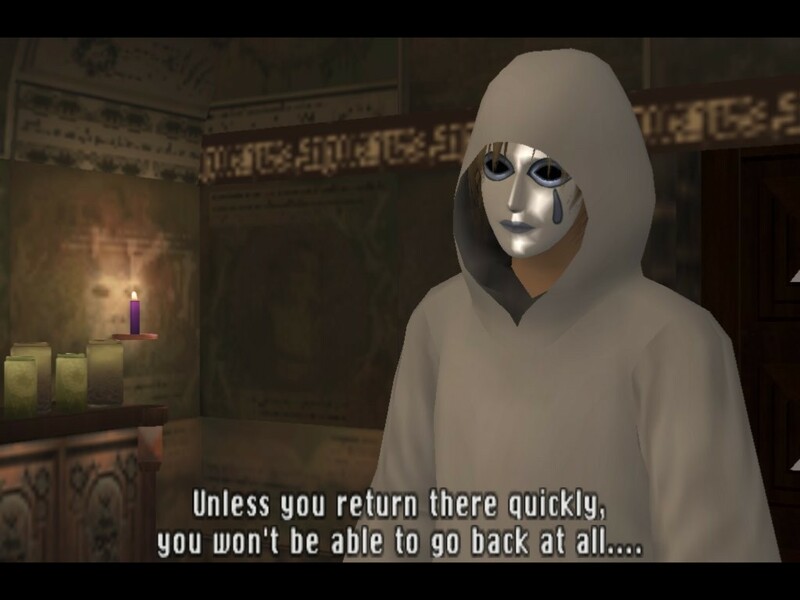 The game is lost if you do not return to the present period for your time of death, or if you are not able to solve what you must do before all of your revivals are up (or at least you will get the worst ending). The game features an ingenious plot and some rather interesting twists on the Adventure genre, multiple endings, and while a bit slow to get going, it evolves into a very interesting and clever set-up doubled with satisfying gameplay. 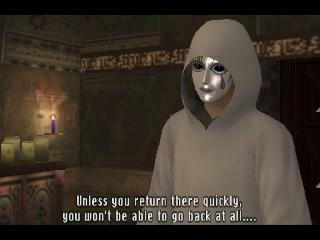 The game was remade in 2009 for the PSP with improved voice acting. 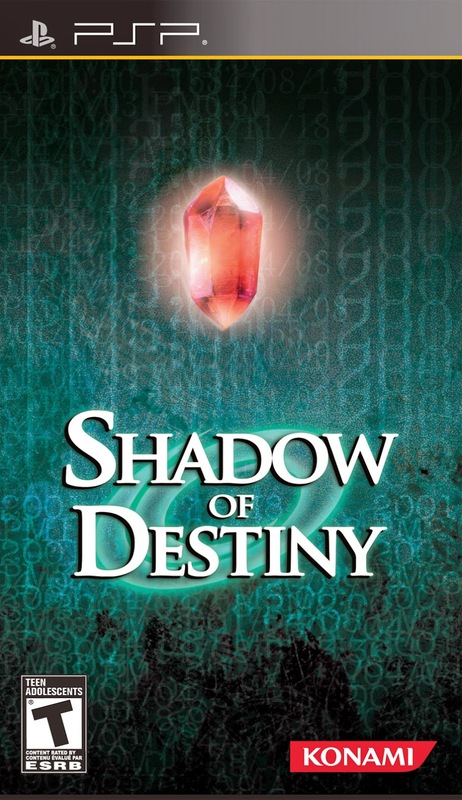 rls name: Shadow_Of_Destiny_USA_PSP-PSPKiNG rls date: 2010-01-28 publisher: KONAMI Region: USA/NTSC enjoy the rls!